Around the wider world of golf: Sung Hyun Park won the Canadian Pacific Women's Open on the LPGA; Julian Suri won his first ET title at the Made in Denmark event; Jerry Kelly got his first Champions Tour win at the Boeing Classic; Brice Garnett won the WinCo Foods Portland Open on the Web.com Tour, and the first 25 PGA Tour cards were awarded; and Yuta Ikeda won the RIZAP KBC Augusta on the Japan Golf Tour. Well, we wanted to see the big boys dueling in the FedExCup Playoffs. Looks like we got it. Dustin Johnson's game has been off since he injured his back at the Masters. It appears it has finally healed... and his game came roaring back this week. Trailing Jordan Spieth by three shots entering the final round -- and surrounded by GC's "Spieth Stats" showing that Jordan was 6-for-7 when leading at the halfway point -- DJ calmly told reporters that sure, he'd rather have a three-stroke lead than have to chase, but that chasing wasn't that bad a place to be. He demonstrated how that can work Sunday. 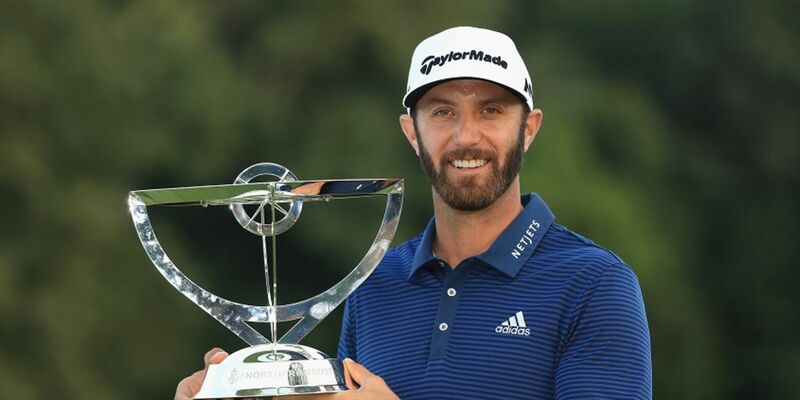 In the end, DJ and Jordan went one extra hole... and the drive that DJ hit, which he managed to place in the correct side of the fairway so he could see the flag, was definitely a knockout. And he's also drawn the first playoff Limerick Summary. These playoffs should be fun! After months when things just weren’t the same. Jordan taunted, “Come on!” So he came.